If you’re looking for that special gift for her, or require a gift for Mum, why not purchase the most unique rose available? 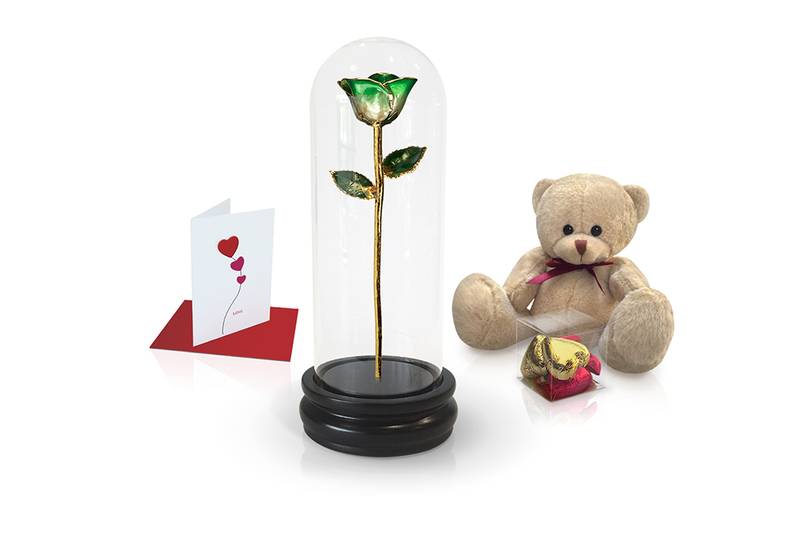 An Infinity Rose is a stunning golden rose flower gift with originality and distinction. Of course there are many other precious moments in life that are to be celebrated, simply browse our vast range of beautifully unique roses and choose that special birthday gift for her that will symbolise the importance of your love. The gift of roses has always been a timeless tradition, they are loved for their natural beauty and elegance and are appropriate for a wide range of occasions, but unfortunately real red roses and other flowers don’t last forever. Commemorate your significant relationship with a gift that shows how much you really care, a golden rose gift is everlasting and a timeless gift that will live forever. Infinity Rose harvests only the finest, real hand-picked roses, then they undergo a 3 month long process. 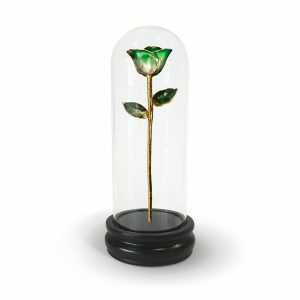 Each rose is then very carefully glazed many times to preserve them in their fresh, original beauty. 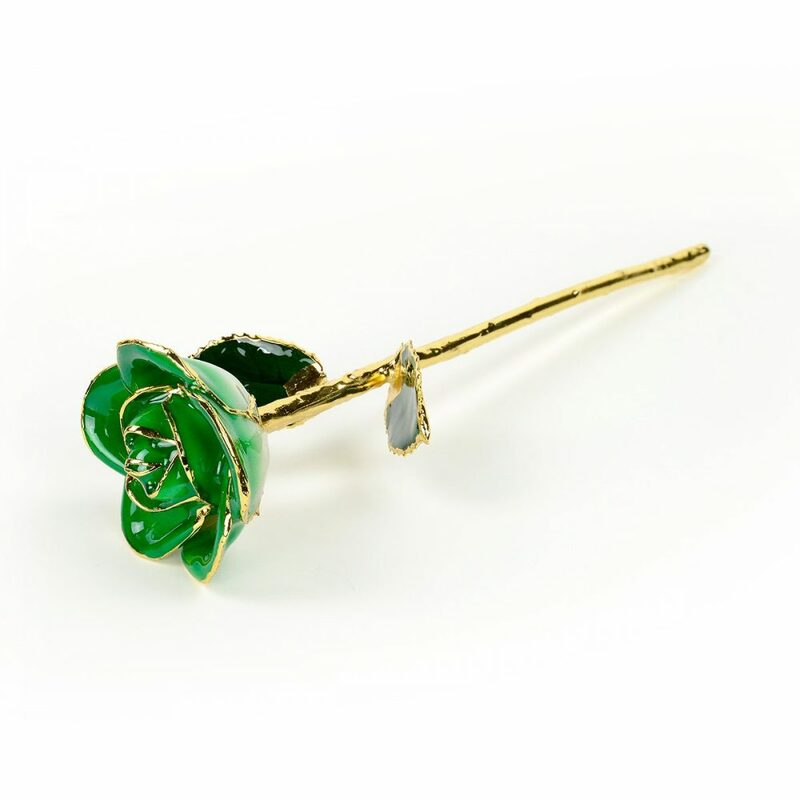 Then they are carefully dipped in real gold to perfect and create something that is truly remarkable and stunning, capturing the rose’s timeless gracefulness and allure. Do you have a key milestone like a Wedding Anniversary coming up? An Infinity Rose is the perfect anniversary gift for a 2nd anniversary, 20th Anniversary, 25th Wedding Anniversary or 50th Wedding anniversary. Did you know that there are traditional and modern themes to celebrate your love annually? Infinity Rose are the gold standard for gold Dipped Roses, so why not give her a stunning Green Two Tone Rose. 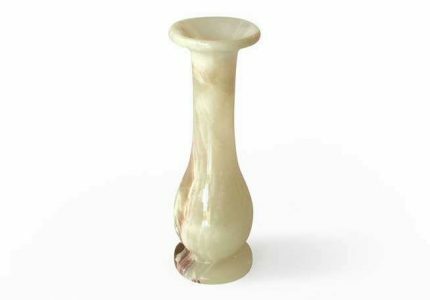 Many people around the world look for types of gifts which are unique for their loved ones, such as flower gifts or rose gifts. 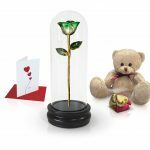 At Infinity Rose, we not only offer you the truly unique match of real roses dipped in real gold – but we also offer free delivery with express shipping. Every step of the way our Quality Control Team ensures that every rose meets the highest of standards. From the picking of the roses at the greenhouse in the nursery, right through to the end of production, the products are monitored closely to ensure their condition, calibre and character. An Infinity Rose is an exquisite article of beauty. 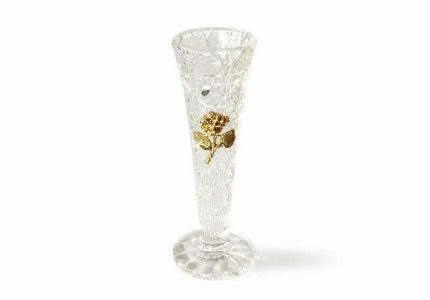 Our craftspeople who produce these gold-plated roses are experts who pride themselves in making the highest quality product. 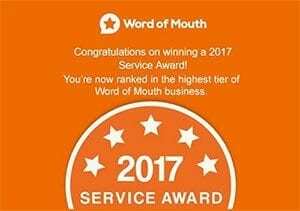 We are so confident that you’ll love our roses, that’s why we offer all our customers a no questions asked money back guarantee. If you are not completely satisfied with your rose purchase, simply return it to our postal address, along with the invoice number, within 90 days from the date of the invoice and you will receive a full refund. Please allow one week for processing.